Homesteaders often look toward a simple, sustainable lifestyle to escape the stress of the modern world. Simple doesn’t necessarily mean technology-free — when used wisely, technology can help simplify and optimize your homesteading experience. Smartphone applications especially can be great for on-the-fly planning, tracking and identifying when you are out in the field. 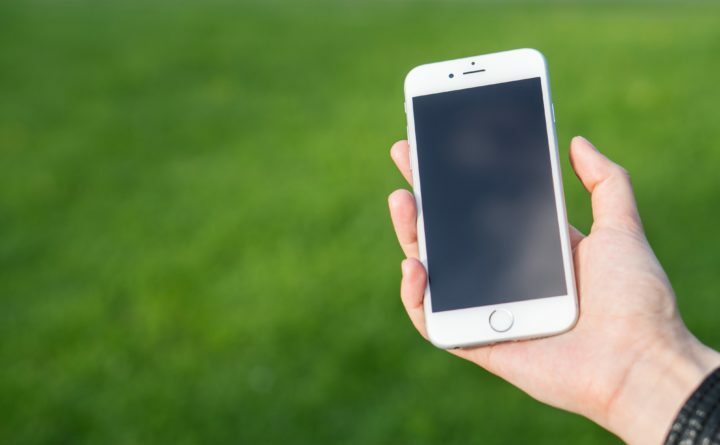 If you have your smartphone handy, consider adding these apps to help you with a wide array of tasks on your homestead. For the gardener on the go, SmartPlant is a great identifying tool. The app allows you to snap and upload a picture of a plant or pest for an expert gardener to identify. It also helps you build a calendar for plant care that will send you notifications and monthly reminders about the things you need to do in order to keep your plants healthy. You can take advantage of some of these features for free, but unlimited access will require a subscription: $6 a month or $35 for the year. In 2015, Oklahoma-based homesteaders Dale and Carrie Spoonemore started chronicling their attempts to grow food for their family of six on their blog, From Seed to Spoon. A few years later, they created an app as a resource for first-time backyard farmers to do the same. From Seed to Spoon includes growing guides for more than 70 vegetables, herbs and fruits that can be filtered based on health benefits and location. The app will also guide you through companion planting strategies to deter pests as well as natural methods to eliminate pests while attracting beneficial insects. From Seed to Spoon also updates with regular blog posts and videos from the Spoonmore’s backyard farm. iHatch-Chickens is an educational and handy tool for first-time farmers and experienced hatchers alike. Through detailed and informative illustrations and descriptions, iHatch-Chickens will guide you through the process of how a chicken embryo grows into a fluffy chick. By entering information about your eggs, you will receive daily updates on the progress of the chicks. The app also features an advice center with tips from incubation experts. Hive Tracks is a free app that help you conduct hive inspections and track the health of your bee hives. The app allows you to enter specifications about your apiary such as hive configuration and will remind you to enter key information, including population size and honey reserve levels. Hive Tracks also uses your phone’s camera and audio capabilities to capture details about your inspections for future reference. The offline features allows the mobile app to be accessed with or without cell coverage for apiarists whose hives are a little farther afield. Identification is key for safe and responsible foraging. For $5.99, you can have a digital field guide with more than 250 plants in your back pocket (the Wild Edibles Forage Lite, a less complete guide, is free to download). Created as a collaboration between expert foragers “Wildman” Steve Brill, Becky Lerner, Christopher Nyerges and Winterroot, it provides identification, harvesting and recipe preparation information of East and West coast plants. You can use up to eight images to help identify plants and filter them by region, season and other attributes. The app also includes map-enabled notes for you to privately track locations of your favorite plants for future foraging, and the cultivation information provided by the app helps ensure that wild plants stay forgeable year after year. As you may know, picking the perfect tractor — or any other farming equipment, for that matter — can be challenging. TractorHouse is here to help by helping connect buyers and sellers of farm equipment. Equipment dealers can add new inventory, specify price and take pictures to advertise the gear they have for sale. Buyers can browse auctions, explore nearby listings or search for equipment by category, make and model. Items can be added to a “Watch List” that will track changes in their price.